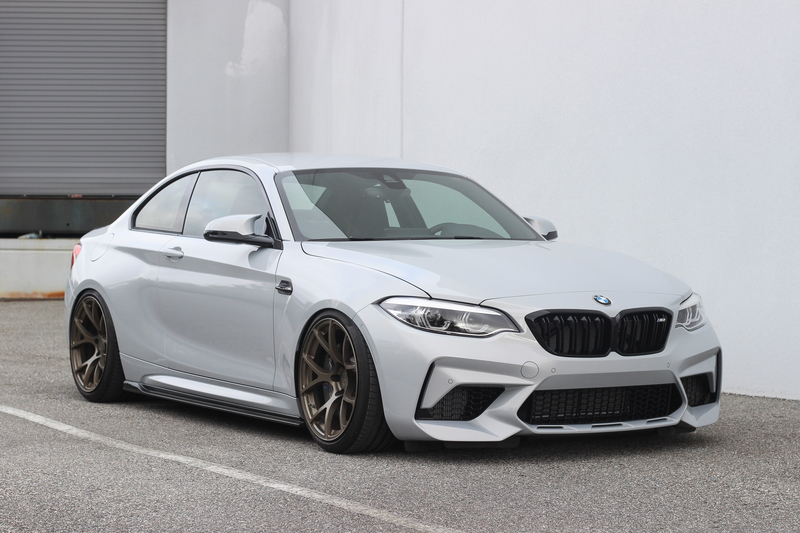 We finally got our hands on the highly anticipated M2 Competition Series! 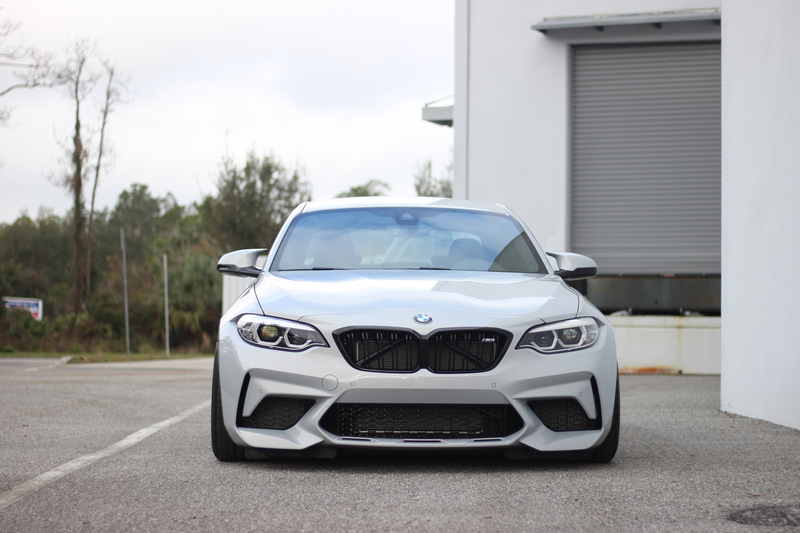 Like our fellow BMW heads, we couldn’t wait to see what the S55 could do in the F87 chassis. The S55, although down tuned a bit for this application, still puts out more than enough power for the M2 to feel absolutely insane. However, in true enthusiast fashion, we needed more! 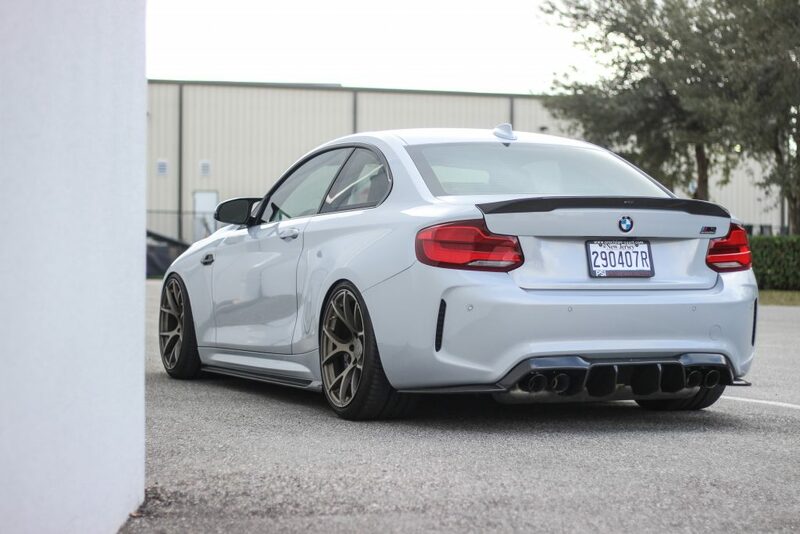 We wanted to start off small so we installed a set of VRSF downpipes and paired these with Burger Tuning’s JB4. Needless to say, this M2C is already a monster, and this is just the beginning. We didn’t want to get so lost in the new power plant that we forgot about the rest of the car. 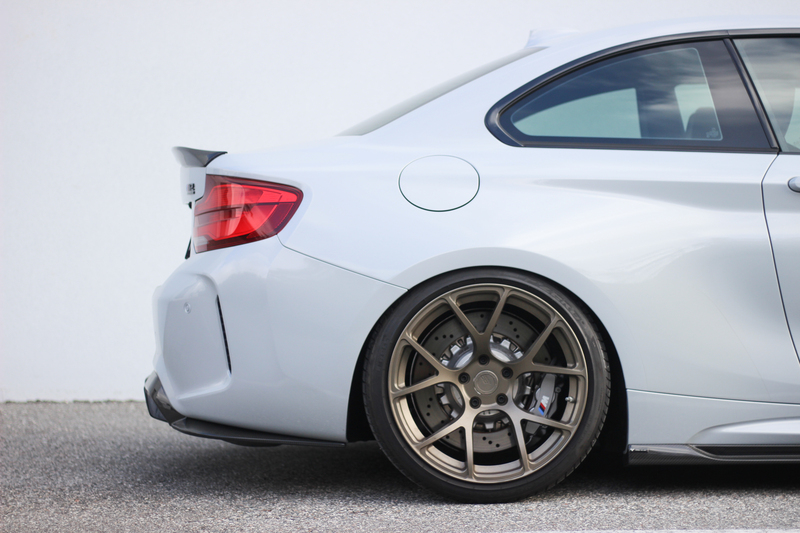 We teamed up with the guys at BC Racing and BC Forged to get her some new suspension and wheels. We are running BC Racing’s BR Coilovers with BC Forged’s 19″ RS41’s in a Matte Bronze finish. 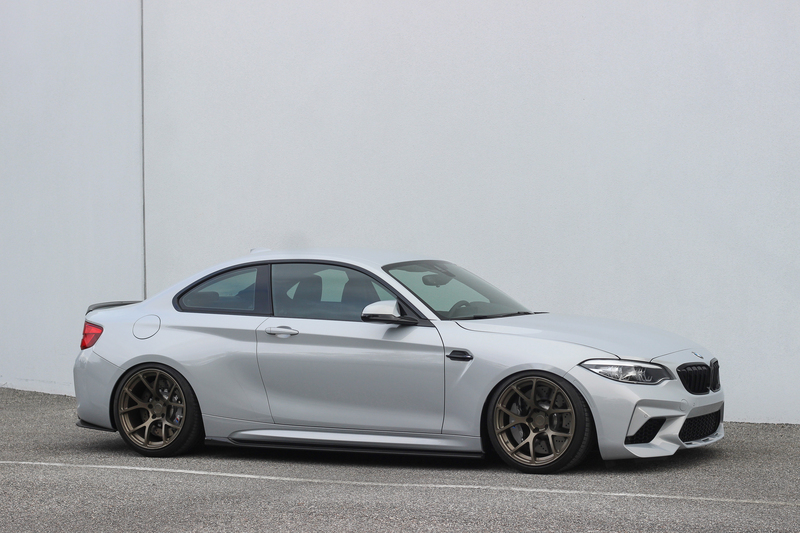 The Matte Bronze finish is the perfect compliment for the Hockenheim Silver paint. The RS41 style is the perfect fit to show off those beautiful brakes that the M2C offers. Now, of course, the car wouldn’t be complete without some quality aero to compliment those aggressive body lines. 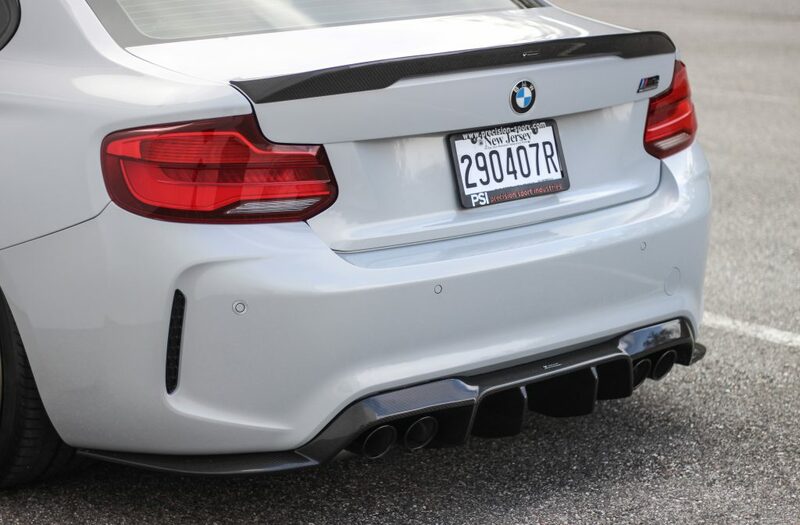 We got with the good people at Vorsteiner to take care of this. 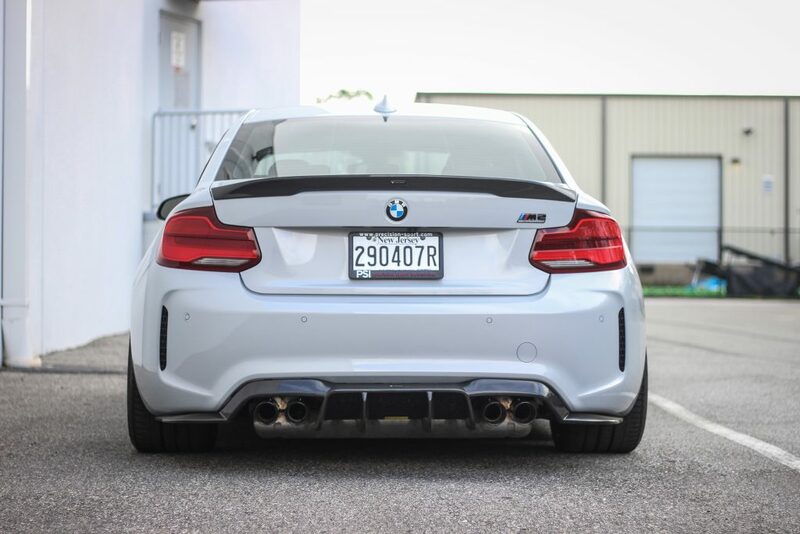 We fitted the car with a Vorsteiner carbon rear diffuser, trunk spoiler, and side skirt extensions. The Vorsteiner kit flows so well with the body lines, and the carbon especially compliments the intriguing Hockenheim color. 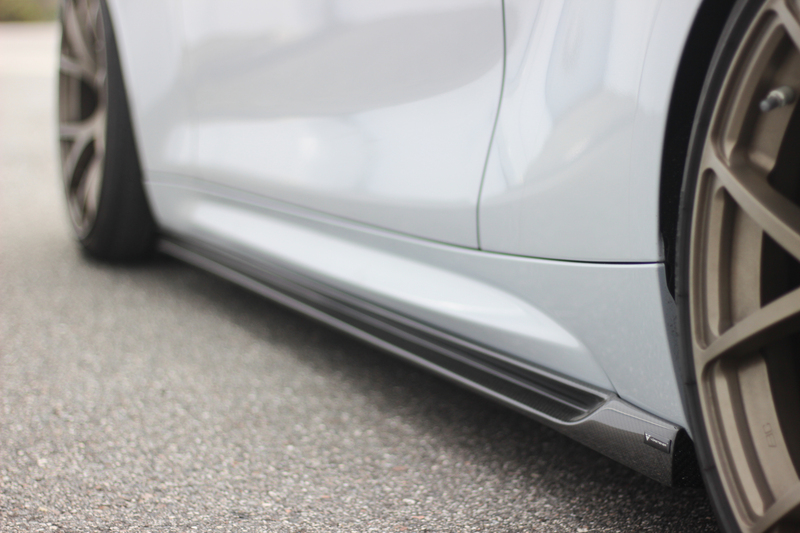 We are anticipating a front lip from Vorsteiner to complete the aero soon! This is just the beginning for our M2C build – stay on the lookout for updates soon! 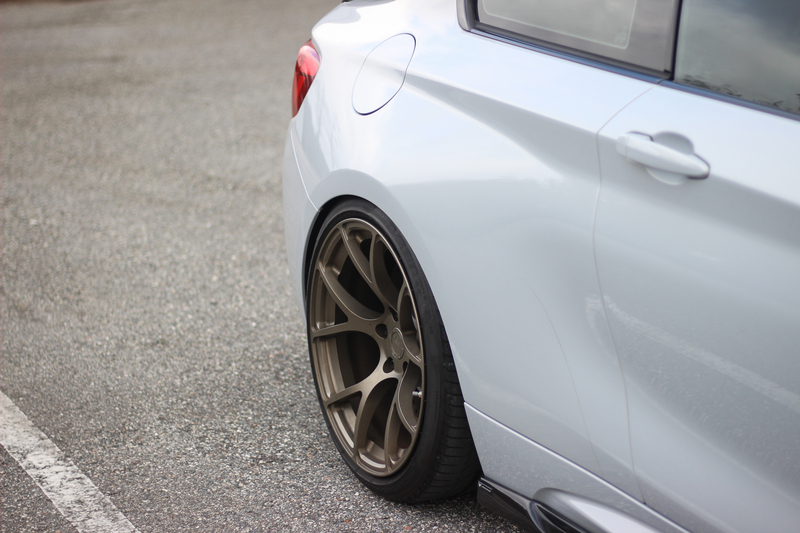 For more information, BMW modifications, service, repair, or any other questions you may have, feel free to contact us.